An elusive vitamin to gain through regular means, Vitamin D is no less integral to health and happiness. 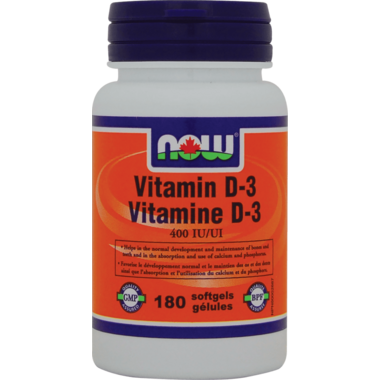 NOW® Vitamin D Softgels supply this key vitamin in a highly absorbable liquid softgel form. Vitamin D is normally obtained from the diet or produced by the skin from the ultraviolet energy of the sun. However, it is not abundant in food. As more people avoid sun exposure or have indoor lifestyles, Vitamin D supplementation becomes even more necessary to ensure that your body receives an adequate supply. NOW uses ultra-healthy Olive and Safflower oils as a base versus soybean or flax oil versions. Other Ingredients: Soybean Oil and Softgel Capsule (gelatin, water, glycerin). I bought these by mistake, I previously had the 5000 or 1000 IU capsules and was going for those, so in this bottle you need to take a few more for a higher dosage, but I love this brand of vitamin D from NOW, the capsules are round and super easy to swallow and I have a hard time swallowing pills on a general basis. I will keep coming back for this brand, been really happy with it.